Liberte Management Group wants our guests to know that YOUR OPINION MATTERS to us. Please take the time to view some of the comments our previous guests have left us. We value input from our guests and would greatly appreciate you taking a moment to leave your comments as well. Cleanest place we have ever been! Kudos! The grounds are beautiful and well maintained. The staff is so friendly and kind. We will be back! Fantastic sea views. Quiet and we’ll kept property. Each room is privately owned and decorated to owners taste. This is a wonderful place to stay. My husband and I, along with our two college aged students, stayed in Room 402. 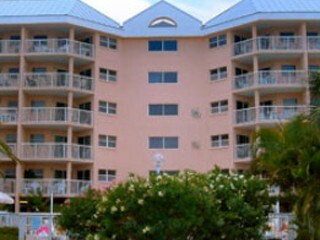 It has a full front facing view of the beach. 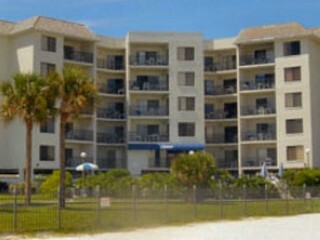 The unit was great and had all needed kitchen appliances and beach chairs. We arrived New Year’s Eve and worried it would be hard to find celebration activities. We celebrated at a nearby hotel’s bonfire and enjoyed a live band. 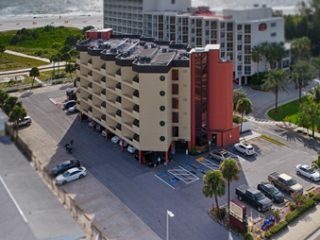 During our stay, there were a host of bars and restaurants right on the beach to enjoy. Highly recommend Crabby Bill’s. Also make a trip to Pass-a-Grille beach to eat at Sea Critters. There is a Walgreens and Publix within walking distance. Will definitely stay here again. I’ve stayed here several years in a row. Both Beverly and Amy in the office are wonderful to deal with. Always accommodating if they can! The property is very well maintained and kept up. Some units are gradually being updated with new appliances and window fashions. This place is a hidden gem! The location to shops and restaurants is a huge bonus! John’s Pass across the street. Property is mostly retired or adult couples which makes it a VERY QUIET property. Love the feeling of Tropic Terrace. Great location. Lots to do, nice pool. 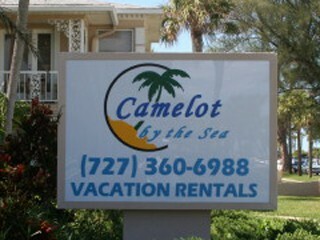 Good place to stay if you are more interested in outdoor activities nearby or just wanting to relax. Very peaceful. Great staff. 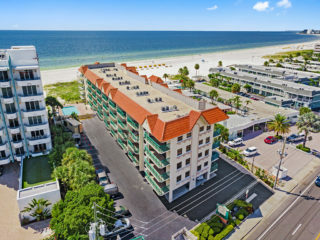 Beautiful 1950’s apartments updated and well maintained with beach & ocean views. Lovely tropical landscaping. Very clean with nice furnishings! 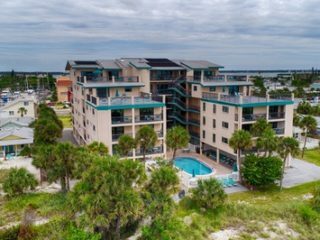 Perfect location near John’s Pass with restaurants, Publix, Walgreens, specialized shops and markets conveniently located nearby! 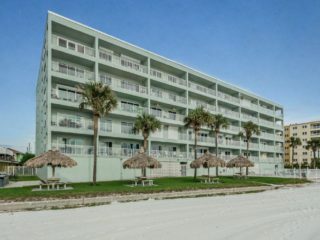 Very Clean and updated each unit is privately owned and decorated. Enjoyed our stay and everyone was very friendly. 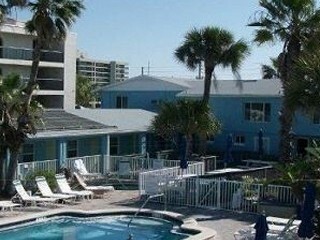 Pool was wonderful and Heated and a beautiful Beach to enjoy right on the Gulf. Will definitely return when visiting that area!!! We started coming here fifteen years ago. We own four units. We love this place. The staff has always been very friendly and helpful. We like the Nautical theme of the units. The pool is heated so we can swim in cool weather. The beach is gorgeous. We have stayed at many timeshares all over the United States. The Voyager Beach Club ranks up at the top. I could go on and on, but one needs to experience a wonderful vacation at the Voyager Beach Club to really appreciate such a great place. We had a Wonderful Time!!! Thank You!! This is our 17th year at All Seasons. Each year gets a little better! Comments will be edited to keep personal identities or information confidential.